Click here to make a booking enquiry today. Once we have received a booking enquiry from you, we will get back to you within 24 hours with a quote and valuable information for your event. If you have questions specifically relating to WEDDINGS, or ENGAGEMENTS, please click HERE. Q:	Am I allowed to choose the music for the night? Absolutely - you have full control over the music, or you can leave it all up to us if you prefer. Q: So... what do most of your clients do with their music selections? Well, after over 3,000 events we find that most of our people like to provide us a list of songs/artists they love (anywhere between 5 songs to 80 songs, with highlights on the MUST-PLAYS) - and we then design the overarching music experience for the night, putting your songs in the perfect sequence, with a mix responsive to the night and constantly creating the best mood. Again, you have full control over guest requests. 2. Guest Requests Not Allowed! 3. Guest requests allowed - with Filters Enabled! 2. Our goal to always be maximising the number of bodies grooving on the dancefloor! We have no difficulty combining these 2 goals - in reality that's the underlying essence and magic of our job. Determining precise balance of these 2 factors is something we expressly communicate on with you. In other words, some of our clients really don't mind what is played, as long as the maximum number of bodies are grooving. Whereas other clients have firm and precise ideas of the music they would like played, and rather that their selections are played over pleasing the crowd. We completely respect both; a fundamental part of our profession is to first clarify what's important to you, and then create the optimum entertainment. Above all, we know you want this event to be unforgettable - we're there to be at your service completely. Q:	How many songs are typically played in a night? In one 5-hour event, we would typically play on average 16 songs per hour, which makes an average of 80 songs for the night. We also factor in any of your requested MC announcements and any guest speeches. Q:	Do I need to select all 80 songs for the night? Absolutely not - you can certainly choose all the songs if you'd like to, or alternatively you can leave it up to us, or anything in between. Q:	Is there any way we can listen to example mixes by you guys? Q:	What questions should people ask to secure the right entertainment professional? Are they well equipped with a full DJ team and back-up DJs/equipment in the event of emergencies? Do they have experience playing at and working with your venue? Can they provide examples of their work? More importantly is your gut instinct: how organised, reliable and well-presented does the company seem? How attentive, personal and responsive are they? Q:	Can you guys also act as MC / Master of Ceremonies? We provide our MC services to you at no additional cost. About 50% of our clients choose to use our MC services or ask us to make some announcements on the night. Q:	What happens when we choose DJ Masters to act as MC on the night? Your DJ doubles as your professional MC at no additional cost. In this case, in the time leading up to your event we ask a series of relevant questions, including any and all of the special announcements and housekeeping you'd like to be communicated (perhaps reminding people to use the photobooth, sign a guestbook, use the right #hashtag for all their social posts from the night etc etc, depending on your event). We also get in touch with your venue in the weeks prior, to touch base, clarify any special new setup requirements, clarify anything on the runsheet, and any special housekeeping notes venue-related. Q: Can I provide a list of 'DON'T-PLAYS" ? Of course! You're the boss. We know how powerful music is in triggering and creating mood, so you can also use this opportunity to mention songs which are inappropriate or undesirable for any reason. Any song, artist or genre on the Don't-Play list, will never be played, nor a remix, nor any cover or version requested by a guest - unless you approve it. Of course you can expect that we'll never be playing anything corny, or inappropriate, or clearly misaligned with the mood. We know as performers that the success of night reflects directly on us too! We go into every event with a mindset of consciously creating a night that will be remembered for decades to come. Q:	Is there any way we can see any video of you guys in action? Q:	Is there any time on the night when you guys don’t play music? Music is so essential to sustaining an awesome and celebrative atmosphere. With the exception of speech time, your music will be playing throughout the whole night, playing by the booked start time and at least until the booked finish time. This includes the time when guests are arriving, being seated, during meal times, and of course - the most important celebrative hours, When The Dancefloor Is Opened! Q:	How does Setup and Pack-down work? Is this counted in our 5-hour package, are we charged for it? Let's take the example of a 5-hour booking from 7:00pm - 12:00am (midnight). •	In this example, we would arrive at 6:00pm, one full hour before the booked start time of your package, and you are not charged for this. We are sure to have music playing by the booked start time (7:00pm in this example). •	We play right until the end of your booking time, that is 12:00am (midnight) in this example. Although you are only charged for 5 hours in a regular booking, we can typically spend up to 7 hours on site, including the arrival, set-up and pack-down. Q:	I need an additional hour and a half (1.5 hours), how do you charge for that? Yes, it is possible to extend the booking to any desired length. While many companies charge by the "additional hour or part thereof" - we only charge you in additional half-hour increments, we don't charge you for a full hour if you only require an additional 30 minutes. Q:	Am I able to meet with the DJ before the night? Will this be my ACTUAL DJ? Yes, of course. We find that in particular about 50% of our clients who choose to have us MC or want more advanced lighting effects also choose to opt for our Premium service, which is only a small additional cost, and includes (among other features) the option of a prior face-to-face meeting with your actual DJ/MC for the night. We know it's a very busy time and we're happy to come out to visit you at your location or wherever suits you best. Q:	What’s the difference between the Standard and Premium Service? For a small additional cost we offer our Premium Service. For events and parties, the Premium Service is typically selected by clients who would like more advanced lighting, the option of particle effects (ie haze machine/bubble machine, and the personal touch of meeting their DJ in person in finalising planning for the night. We know it's often a very busy time and we're happy to come out to visit you at your location or wherever suits you best. If your music selections require special attention, or there are unique songs or audio which you would like us to source for you, we do all of this for you in the Premium Service. Q:	Why do so many people choose DJ Masters? People choose DJ Masters over other service providers because after 12 years and over 3,000 events, we know exactly what we're doing - we're not a one-man-show - we're a fun and dynamic team, with the skill and resources of an experienced company to ensure a perfect night. Q:	Do you have Public Liability Insurance? We perform events at many exclusive venues throughout the year, many of which require Public Liability Insurance. We will provide your venue with our Certificate of Currency if they do not have it on file. We always carry insurance for our Public Liability and our DJs. $20,000,000 Products and Public Liability. Q:	Do you charge more based on the number guests we have at our event? Unlike most services in the industry, we do not base our pricing on this. We have always charged the same rates whether you have 30 people or 200 people at your event. Quotes are based on the time of year (high/low season), and a small travel fee only if there is more than 1 hour of travel from Melbourne required. Q:	How is it possible that your pricing is so competitive? We strive to provide high value. The reliable personnel and systems we've built up over 12 years allows us to operate effectively and efficiently. Clients are often surprised at our competitive rates. We're grateful to be achieving our goal of becoming Melbourne's most trusted high-value DJ service. Q:	How do you charge for the booking? Is a deposit required? Due to the high demand for our services, we accept a $100 deposit to confirm the booking and secure the date. The balance can be paid at any time up until 10 days before the event. If you prefer to settle the balance at the beginning of the night, this can be approved with prior arrangement. Q:	Do you carry appropriate licensing and certifications?  DJ Masters has been operating across Melbourne for over 12 years, and has performed at over 3,000 events. We take care to carry the correct licenses, including PPCA Public Performance licensing, electrical testing/tagging certifications, and all relevant insurances for every event we attend. Everyone - everyone - loves music. And, everyone likes working around something meaningful. Music can speak and represent us powerfully. We feel so deeply grateful to be able to work with music in a way that can bring greater personality and depth to the most meaningful events in the lives of our clients. Q:	How was DJ Masters born? DJ Masters has been built on a team of people who love music, performance, music technology, and working with meaning. It made perfect sense to combine these loves to bring music to the most meaningful events of people's lives. 12 years later, DJ Masters is Melbourne's most well-reputed high-value DJ company.